In the real world, we’re not going to have nice problems that will be easy to understand. We are going to have complex problems that require a lot more preparation than most math, science, or English classes will give us. The challenges in the real world won’t be simple, and the problems that are supposed to prepare us for that world shouldn't be either. This wasn’t something where we were being told, “Somebody’s going to buy 60 watermelons at a store.” This was actually happening in real life, and the only people really discussing this were people whom it wasn't even going to affect. This science won’t come into widespread use until much later, and we’re going to be the first ones who are actually in danger from the possible consequences of it. By presenting our policy briefs, we had a chance to make an impact and get our voice out there at only 14. 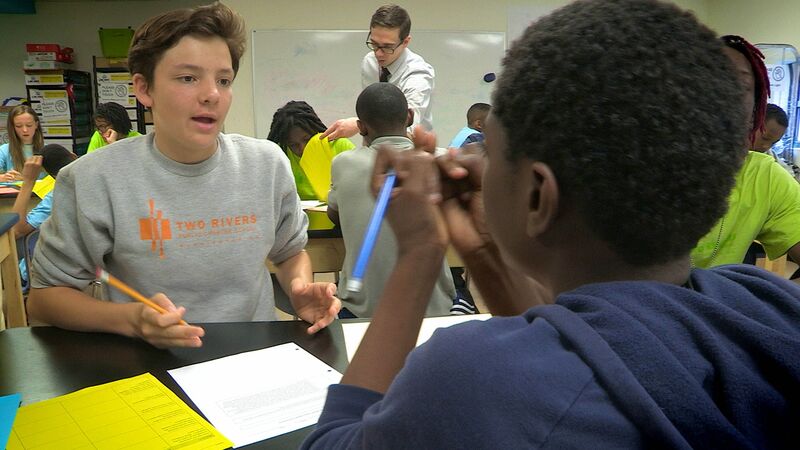 This blog post is part of our Schools That Work series, which features key practices from Two Rivers Public Charter School.